Hey yall! It has been awhile since the girls and I went to the movies together, I believe since the middle of summer break. 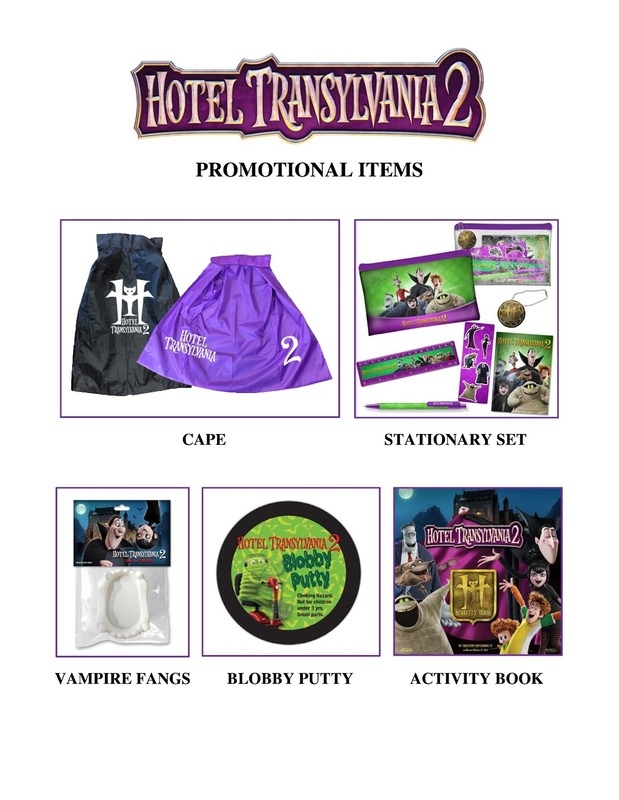 We are really looking forward to some girls time out and seeing Hotel Transylvania 2 that is coming to theaters September 25th. We've seen the first movie and loved it; loved it so much we got it on DVD. With Hotel Transylvania 2 soon to be coming to theaters, I'm giving away a prize pack to 5 lucky winners! Giveaway ends September 25th. These prizes are perfect for Halloween! I would like to see this with my grandson. What a cute storyline -- can't wait to see it! Yeah, I think I'll watch it. Looks like an entertaining family film. Thanks. Yes, I loved the first one. Looking forward to the second. I'd love to see this with my dd. We loved the first one! I will be watching hotel Transylvania 2 on dvd. We loved the first one and are looking forward to seeing the new one. Drac was esp funny! I will absolutely being seeing this movie! My son and I have a date marked on the calendar!!! My grandkids will for sure with their parents. Absolutely we are all excited about Hotel Transylvania 2! Yes, I will see it with my nieces. Of course, my sons loved the first one. I will be seeing Hotel Transylvania 2. I hope to see it Saturday or Sunday evening after work. Absolutely! The kids and I have been waiting for months to go see this movie!! Yes, we plan on seeing this movie. We loved the first one and are looking forward to this one.